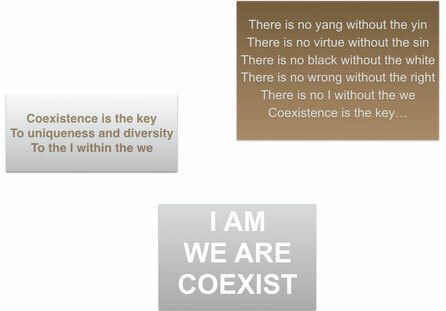 COEXIST - Social Commitment - a-bittners Webseite! 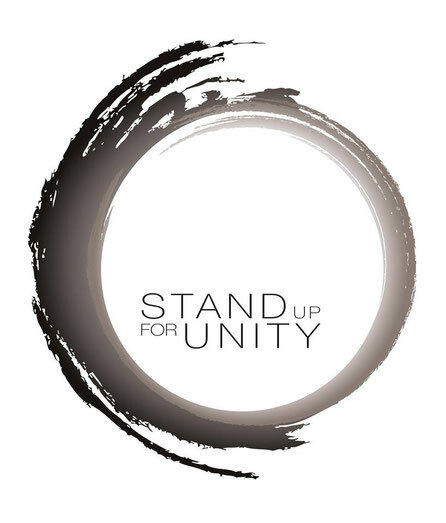 I am proud to be part of COEXIST - Stand Up For Unity by Nahid Shahalimi, supporting this unique empowerment movement as a communications expert & consultant. 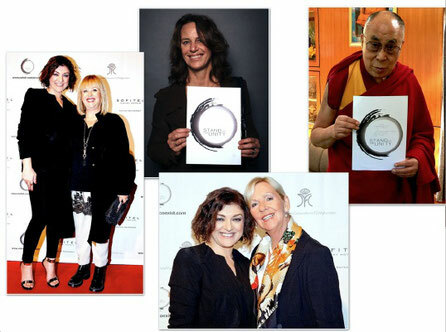 Coexist is a worldwide campaign for unity and peace which artist Nahid Shahalimi launched June 2015. Coexist is a movement with the goal to encourage people to Stand Up For Unity, embracing our differences in the way we live and share this world regardless of our gender, race, nationality, color or religion. Coexist stands for individuality & diversity. Coexist is a synonym for awareness & mindfulness. Coexist is a state of mind. Self-esteem: I am a good & worthy person. Looking ahead: Learn from the past and plan your future. Rights: I have the right to develop myself. Supporters: I am not alone. Process: Solutions and baby steps lead me to my goal.